Creating a luxurious environment in your home is more about skillful design than about splashing out on high-end furniture and decor. 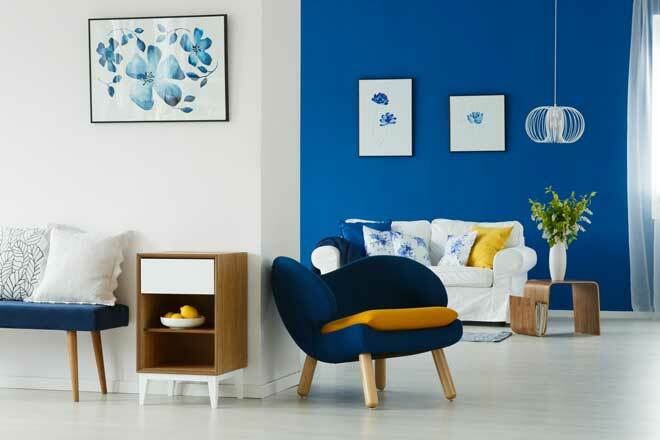 With a little planning and creativity, you can give your home an air of stylish elegance that looks like it came straight out of a magazine without the luxury price tag. 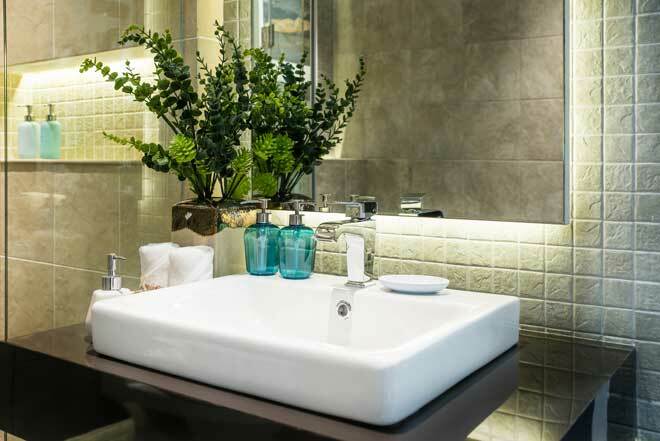 Attention to detail is one of the truest signs of a thoughtfully designed luxury home, but those details don’t have to be expensive. They may be small, but the faucets are among the first things that catch your eye when you walk into a kitchen or bathroom. Worn or dated fixtures tend to make everything around them look shabbier, too. Upgrading an old faucet to a model with a sleek, modern design will bring an air of affluence to the whole room. Before you start shopping around for a new faucet, make sure you know your existing faucet’s configuration. You’ll need a model that fits in the old faucet’s place. Unless you’re planning to replace the sink and faucet together, choose a faucet material that works with your current sink and the room’s overall style. In a rustic farmhouse kitchen, copper with an antiqued finish is a perfect fit. For a modern kitchen, a shiny chrome faucet is a better pick. 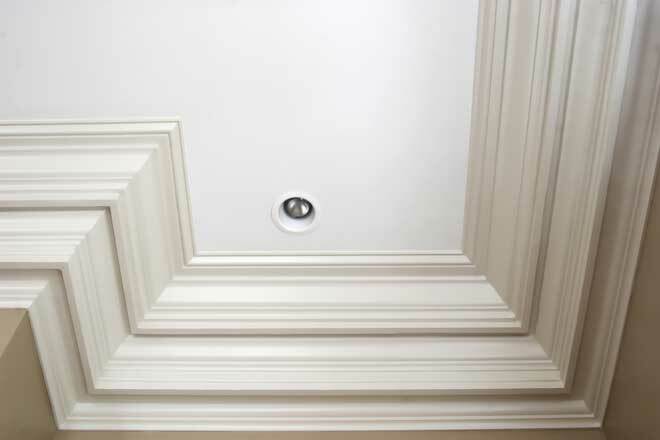 Crown molding doesn’t cost much, but it can give any room a finished appearance and a distinctive flair, especially when you take the time to dress it up a little. 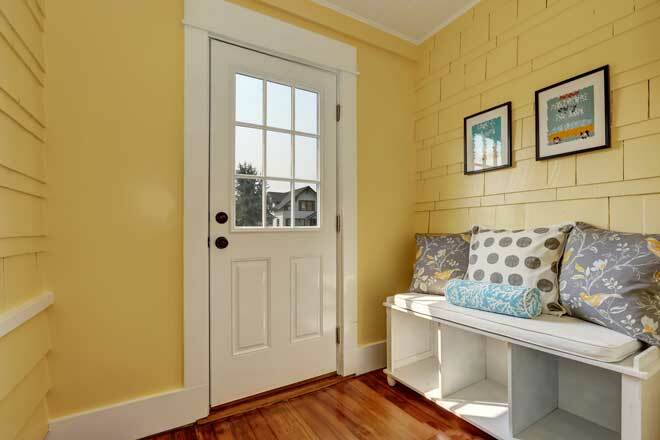 For existing molding, a fresh coat of paint may be all you need. White is a classic choice, but a darker tone that works with the room’s color palette can create a more modern, sophisticated air. Just don’t go too dark or bold, or you’ll draw attention away from the room’s focal point. If you’re considering installing new molding, keep the room’s overall style in mind. A modern, minimalist room may be better off without molding or with very narrow molding. Then consider the room’s size. Thick, heavily embellished molding helps bring down high ceilings to create a cozier feel, but it can overwhelm a small room. 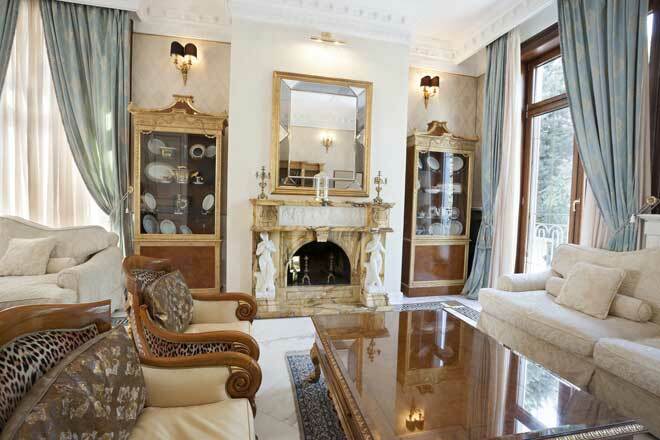 In a larger room suited to something more elaborate, create a custom look by layering two or three pieces of molding. More than any other feature, lighting is what sets the mood of a room. A room with inadequate lighting is not only less comfortable to be in, but also feels dull and run-down. If a room lacks light, bringing in a new table or floor lamp is the quickest and most budget-friendly way to improve the situation. A lamp in a trendy material, such as brass or concrete, can instantly bring the room up to date. If a new lamp won’t cut it, it’s time to re-think the room’s lighting plan in terms of ambient lighting, task lighting, and accent lighting. By attending to all three correctly, you’ll create layers of light that give the room a well-planned look as well as make it more livable. 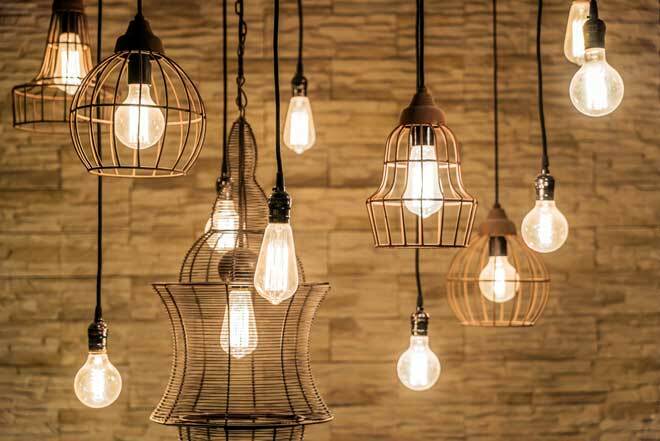 Your choice of light fixtures also has an effect on the room’s ambiance. A striking chandelier creates a sense of classic sophistication, while minimalist pendant lights in clean geometric forms give a room a stylish, up-to-date look. Some of the cheapest upgrades you can give your home have the biggest impact on its look and feel. You won’t need a big budget for them, but you will need to invest time in planning. An accent wall is a single, stand-out wall designed to act as the room’s focal point. A wall like this is cheap to create, but it can dramatically alter the room’s appearance, so it’s not something to undertake lightly. Choosing the right wall and color is critical. Usually, the best wall is the one behind the current focal point of the room, such as the bed, sofa or fireplace. Ideally, the wall should have no doors or windows. Select a color that’s among the darkest tones in the room’s color palette. Avoid using the most common color in the room, though, or you’ll end up with an overload of that shade. While painting is the obvious approach to creating an accent wall, don’t overlook wall paper, wood, and tile. Wood, in particular, lends a luxury feel to any room. Your hard-working floors are all too easy to take for granted. Because the floor covers so much space, though, its appearance is critical to the overall feel of the room. 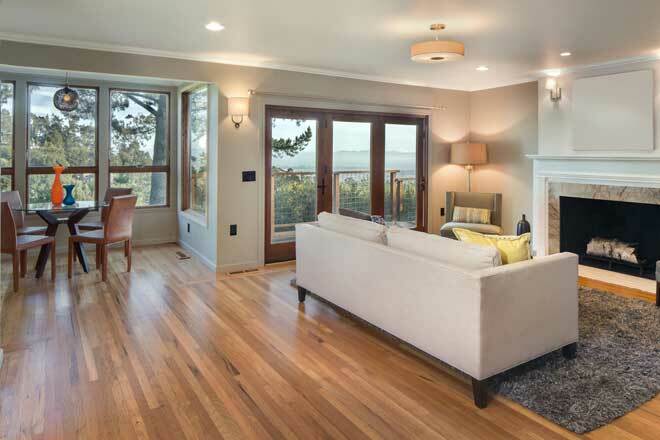 Bare wood floors are an eternal classic in luxury homes, and they’re decidedly in vogue these days. If yours is looking a little downtrodden, opt to re-finish instead of hiding it with area rugs. If you want to get rid of your worn-out carpeting, but the floor beneath can’t be restored affordably, look to paint. It’s a laborious process, but painting a wood floor can hide scratches, gouges, stains, and other damage to create a more uniform, well-maintained appearance befitting a luxury home. For something a little less labor-intensive, consider self-adhesive vinyl floor tiles. Budget friendly and easy to install, these tiles come in a wide variety of designs, including wood and stone patterns for an opulent look on the cheap. In a busy home, the entryway can quickly fill up with coats, shoes, bags, and other odds and ends, creating chaos that’s anything but luxurious. With the right storage furniture and accessories, you can corral the mess and make a better first impression on your guests. The calm, orderly look of your entryway will lend an air of class and elegance to your home all by itself, so you don’t need expensive furniture. You can even make your own out of plywood or pallets. The more versatile your furniture, the better. A storage bench, set of wall-mounted cubbies, free-standing coat tree or some wall hooks, and an umbrella stand is often all you need. If you want to get creative, try shelving with baskets to act as drawers or wall-mounted containers. Then add a finishing touch in the form of a family message center or a small gallery wall. As far as first impressions go, the outside of your home is just as important as the inside. 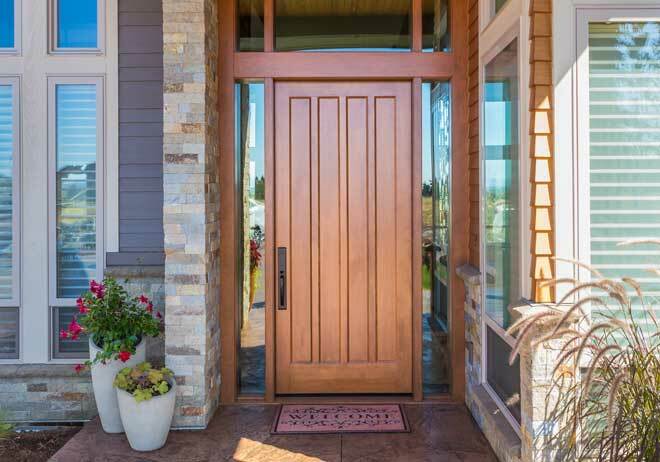 Because your door is the natural focus of anyone coming to your home, improvements here do a lot to help set the mood. If your current door has seen better days, replace it to improve both the appearance and the security of your home. To get a high-end look on a budget, consider a steel door with an exterior designed to mimic wood grain. For an existing door, installing millwork is one of the surest ways to create a upper-class image. Then add safety and accent lighting, and luxury finishing touches such as illuminated bronze address numbers. Well-chosen greenery helps, too. Try framing the door in matching topiaries or other eye-catching potted plants. Much of an upscale home’s atmosphere of luxury comes from careful planning and attention to detail. With a little resourcefulness, you’ll find simple, affordable renovations are enough to get the look and feel you want without the expense of high-end materials, furniture, and accessories.